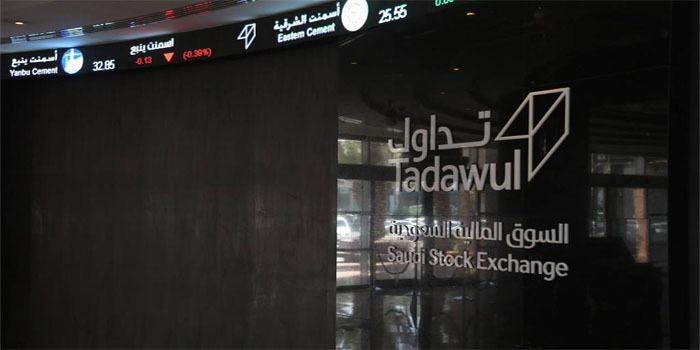 The Saudi Stock Exchange (Tadawul) saw a negative performance this week, as most of the market sectors settled lower. The Tadawul All Shares Index (TASI) fell 3.78%, of 309.02 points, and ended the week at the level of 7,867.16 points. Market capital decreased by 3.84% or SAR 64.55 billion, closing at SAR 1.87 trillion, compared with SAR 1.94 trillion by the end of the previous week. All of the market sector indices registered losses, except for utilities that added 1.9%. The telecom sector was the biggest loser dropping 7.2%, followed by pharmaceuticals with 6.1%, and food with 5.5%. Heavy-weight Banks and materials also declined, losing 4.4% and 2.9%, respectively. Traded values went down 29.9% to SAR 15.2 billion, compared with SAR 21.67 billion by the end of last week. Similarly, traded volumes decreased by 22.95% to 585.55 million shares, down from 759.95 million shares during the week ended 9 August. On the other hand, the Parallel market recorded its second consecutive weekly decline, as the NOMU index plummeted by 6.3% to 2,627.51 points.